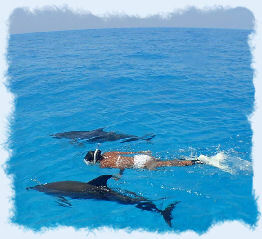 Key West is an exciting place to visit and features some of the best bars, entertainment and night life to be found. The island is known for having some of the best and unique bars and restaurants in the world. Many of Key West's older bars will let you take a trip back in time since they remain unchanged in over a 100 years. They will amaze you with their history and old world charm. 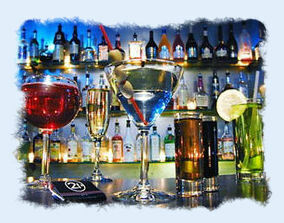 There are many bars that do however have a modern and upscale appearance if that is your preference. You will also find that many of the saloons will always an event or something exciting taking place throughout the year. There is almost always a marquee event taking place such as a fishing tournament, contests, or a festival taking place such as Fantasy Fest, the islands most popular event. Other major events include Hemingway Days in July or you can put on your parrot hat for the not to be missed Jimmy Buffett's meeting of the minds in November. The bottom line is that the island paradise comes with the best weather and the best entertainment to be found anywhere, so why would you even consider going any where else. You will agree that Key West is a town that knows how to party like no other place you've ever seen outside of New Orleans! Big Uns is a great little bar that's not too far from our condo rental on the beach. Watch the big game or just to hang out and have a cold one. They feature some good live entertainment during the later part of the week and there almost always is lively crowd to spice up your evening. They have specials and some excellent bar cuisine. There menu is moderately priced. Fat Tuesdays if you're familar with Key West is famous for their mouth watering shrimp and crawfish boils. It's a great place to have your party. They offer catering and you can even hire one of their bartenders for your party at home or rent their daiquiris machine for your home event. They offer a happy hour each day from 5:00 until 8:00. Don't miss out on the fun! The Green Parrot Bar has won a number of distinctions and awards since it's inception including being named one of the top bars in America and the World. The Parrot was established in 1970 by Judy Sullivan and was purchased in 1983 by Mr. Bean who has transformed the Green Parrot into one of the hottest spots in the Key West area. They offer a convenient on-line calendar to view their live music schedule. If you come to Key West you have to visit the Parrot! The Hog's Breath is another popular island watering hole that will provide you with a great time. They feature live entertainment and list a calendar of events on their website for other popular events. Their most famous event is their Home Made Bikini contest (not to be missed) followed closely by their Parrot Head party in November. The Saloon sponsors a number of other events also including the Hog Trot a 5 K race and a big fishing tournament in January with the winner receiving a boat, motor and trailer. You are taken on a guided tour of Key West's most famous bars and it's your job to win the scavenger hunt from the clues you will be given throughout the tour. 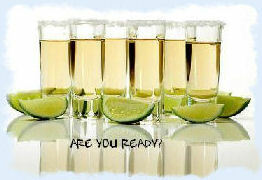 You'll have a chance to win prizes along the way and will be handed out two for one drink tickets. Hunts are normally schedule every Fri., Sat., and Sunday at 7:00 PM. For large groups you can even arrange to have your own custom tour set up. The Rum Barrel offers a great meal and one of the largest selections of rum in the world. Yes the World!!! They even offer an on-line Rum selection guide for you to learn about the different kinds of rum they offer. They feature live music every night and they have a cool rooftop deck overlooking the Old Town that's a great place to have a cocktail. Located next door to Pirate Soul Museum. entertainment even offering a Martini Bar for their distinguished clientele. If you can't find it a Rick's it's probably not happening in Key West. Neat little bar that features live entertainment and bar Magician, Frank Everhart. They have great food and decent prices on their drinks. Voted 7 years in a row best bar, by People's Choice Awards. This is where a lot of the locals hang out. Just a short distance from our 1800 Atlantic vacation rental resort is Shanna's. Shanna's is great little Irish Pub and sports bar and features excellent bar cuisine. It has that little bar on the corner back home atmosphere. If you're looking for a great place to go have a cold one and watch the big game then the Shanna Key is the perfect spot for you. Sloppy Joe's just oozes with history. You feel like you've taken a trip back in a time capsule when you step through the doors. Sloppy Joe's has live entertainment, fantastic food and one of the best atmospheres for a bar you'll find anywhere. They have a large selection of souvenirs and clothing to take back home with you. Opens daily 9am-4am. 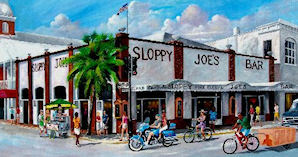 While you're checking out Sloppy Joe's you can slide on over and visit The Lazy Gecko which is right next door to Joe's place. They specialize in frozen daiquiris (twelve different kinds) and make sure you try out their fresh pizza. The action can get pretty wild if you hang around long enough. Great Karaoke bar. Two Friends is known for great food especially their seafood. They also feature an open air patio with an ambiance that hard to beat. They have good pricing and are located smack dab in the middle of the action between Mallory Square and the Historic Seaport. They also feature live entertainment. If your looking to meet good looking ladies then Virgilio's might be the location for you. They usually cater to an upscale customer base and are considered one of Key West's hot spots serving up excellent drinks & hot entertainment. They have live entertainment including jazz, blues, & piano music. Italian dinners are available from their stylish restaurant, La Trattoria.